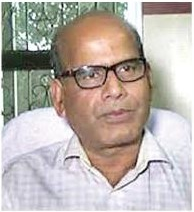 The Election Commission of India has decided to appoint new SP and Collector in Bargarh district. This is happened for the coming by-poll election of Bijepur Assembly constituency which is scheduled for February 24th. The ECI has asked the state government to recommend the names of three IAS officers and three IPS officers belonging to the Odisha cadre who have experience in conducting elections. From the suggested names, one IAS officer will be selected for the post of Collector and an IPS officer will be appointed as SP of the district, official sources said Wednesday. The Home Department has already recommended the names of three IPS officers of the Odisha cadre for appointment as SP of the district. The IPS officers, whose names were recommended are – Jai Narayan Pankaj, K. Siva Subramani and Pinak Mishra. The General Administration Department has also sent the list of IAS officers for the post of Collector, the source said. 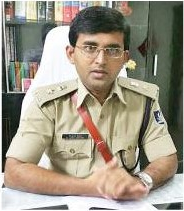 The new SP will replace the current SP, IPS officer Jugal Kishor Kumar Banoth. The new Collector will replace IAS officer Khagendra Kumar Padhi. A seven-member BJP delegation led by state in-charge Arun Singh had filed a complaint with the ECI against Bargarh Collector and Superintendent of Police in November 2017, demanding transfer of the duo. The BJP had alleged that a free and fair by-poll cannot be held in Bijepur if the officials are not transferred.